The worlds helium could run out within a decade unless more of the gas is recycled. Helium cannot be chemically manufactured so we rely on the supply coming from the slow radioactive alpha decay that occurs in rocks and if it continues to be used at current rates it is predicted that supply will run out within the next 10 years. 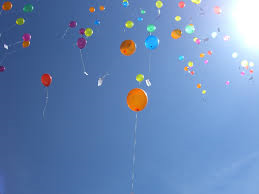 The price of helium has increased 500% in the past 15 years and a professor or chemistry at the University of St Andrews has urged people to not have helium balloons at parties but to reserve the gas for more important matters such as MRI scanners and deep sea diving. We are currently able to recycle the gas from MRI’s and diving but not from balloons. If more of the gas is recycled then supplies will last longer but when helium escapes into the air its lightness makes it impossible to reuse.